This week, I closed the joint checking account I had with my mother. It was the final act of the more than a dozen years I had spent as her caregiver. My mother died on April 16, 2014. I had kept the account open until I was sure that her final tax returns, which I had filed in July, had been accepted. I had indicated on the returns that the person filing was deceased and had included a copy of my mother’s death certificate. Before the Labor Day weekend, I received a letter addressed to my mother from the New York State Department of Taxation and Finance informing her that her tax return was not complete. She hadn’t signed it. What part of dead did they not understand? It took several phone calls over several days to straighten it out. The case is now closed, as is the chapter of my life that was devoted to and defined by my responsibilities as a caregiver. Like many New Yorkers of their generation, my parents had retired to Florida, Century Village to be exact. 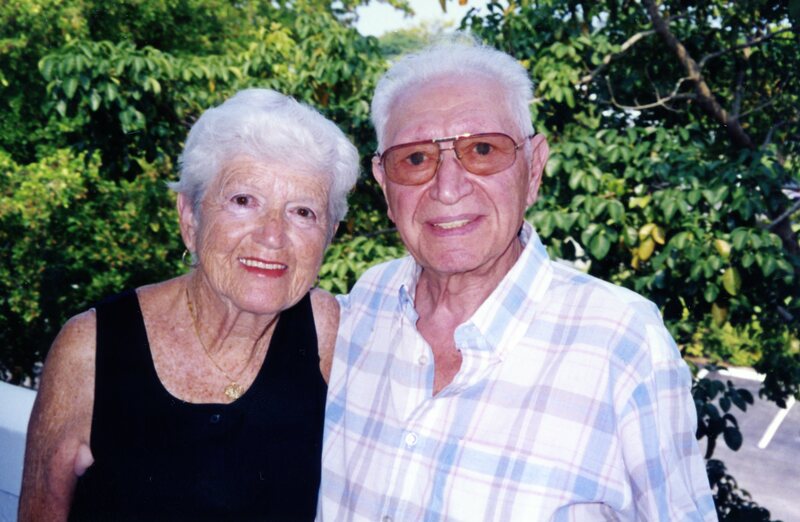 Over the years, they had survived medical crises that are often fatal or severely debilitating. They sprang back like the Energizer bunny, a little worse for wear but still ticking. Intellectually I knew a day would likely come when my parents were no longer able to care for themselves but I operated as if it would never happen. I got used to seeing my once overweight father become painfully thin. I believed my mother when she said that her wobbly walking was not a problem. I blithely embraced the freedom of my single, childless life. In 2002, that was all changed by a phone call. My mother was diagnosed with spinal stenosis, a condition caused by a narrowing of the space surrounding the spinal cord. A cortisone shot relieved much of her pain. The doctor prescribed a brace for her left leg. My mother’s mobility was compromised; she needed help dressing and bathing. Housework, shopping, and cooking were no longer possible. My father insisted that he could handle the situation; that under no circumstances would he have help in the house. Thus began my journey as a caregiver. For the next two years, I called my parents at least once a day. I made frequent visits to Florida. When I was there, I cleaned my parents’ apartment and went shopping; accompanied them to doctors’ appointments and for haircuts; and cooked and froze enough dinner meals to last until I returned. Despite my best efforts, both my parents’ conditions steadily deteriorated. My mother was having difficulty getting in and out of her bed and lift chair, and she was showing increasing signs of dementia. My father was having trouble swallowing and weighed less than 100 pounds. After much cajoling, my stubborn father finally relented and allowed me to hire an aid to come to their apartment for five hours every day to take care of both of them. That arrangement lasted only a few weeks. On January 10, 2004, my father had a heart attack and died. It was clear that my mother could not live alone. She shuddered at the thought of having an aid live in her apartment with her. She nixed the idea of moving back north to be closer to me and the rest of her family. She said she couldn’t face the cold winters. My mother wanted to stay in Florida and go to an assisted living facility that served three meals a day. She wanted somewhere she could play bridge and if possible, she wanted a water view. I found just the place, The Classic Residence by Hyatt. My mother adjusted well and was happy there. But she was plagued by a variety of medical problems, and I constantly had to go to Florida to be with her. The truth was, it didn’t matter whether she lived in Florida or New York. Her mobility was so bad, she never went outside. 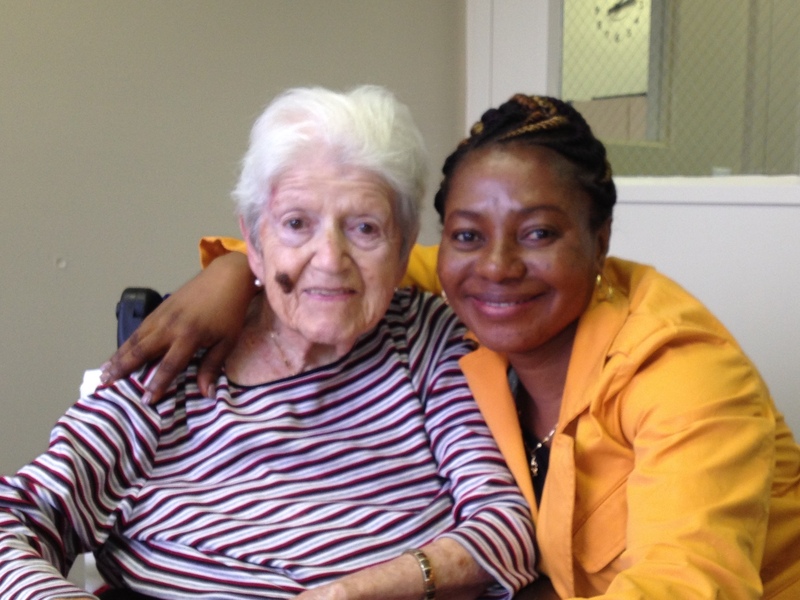 After five months, I convinced my mother to move to the Hyatt Assisted Living Residence in Yonkers, New York. We were both happy. She had a small studio apartment with a view of the Hudson River. Despite her worsening dementia, she played bridge three times a week; something clicked in her brain when she had cards in her hands. All was going smoothly when my mother and I were featured in a New York Times story about Sunbelt retirees returning north. In January 2005, almost a year to the day my father died, my mother fell and fractured her hip. She had barely been able to get around before the fall. So it wasn’t too surprising that even after three months of rehab, she no longer had the minimum skills required for her to remain in assisted living. I immersed myself in elder law to explore my options. I had two choices. My mother could move to a nursing home where she would be a private pay patient for three years, or I could get her an apartment where she could receive Medicaid home care. I chose the latter. In April 2005, I moved my mother into an apartment across the street from mine. She had qualified for 24-hour Medicaid home care. I was going to run a nursing home for one. Charlotte Oti was the primary aid assigned to my mother’s case. 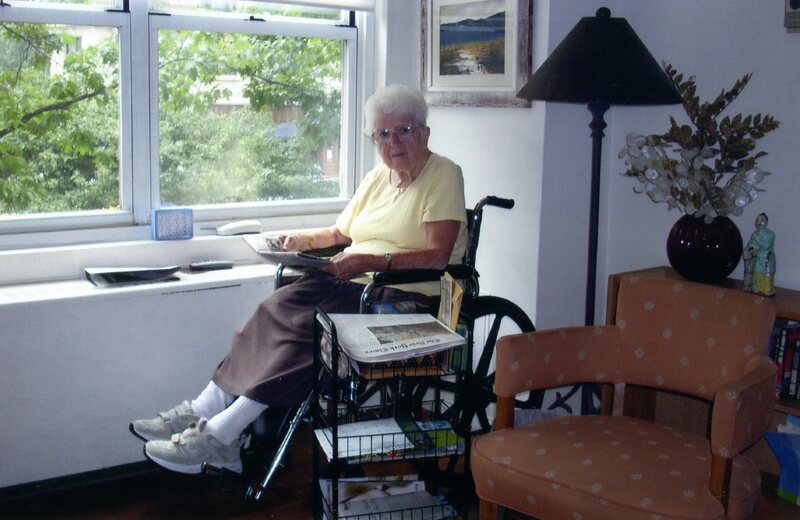 For nine years, my mother had home health aids 24/7. During that time, many different aids were assigned to my mother’s case. There was no one who ever compared to Charlotte. She was my partner in my mom’s care. Even when Charlotte became a Certified Nurses Aid and started working in a nursing home, she was always there for me. She was the one person I could always depend on. Charlotte and her children are now an important part of my life; we are family. It had been my plan to have my mother remain in the apartment and receive home care until she died. As the years passed, I missed the freedom I once had. I was well into my sixties and was beginning to feel like my life was passing me by. Friends encouraged me to move my mom to a nursing home, but I resisted. I changed my mind after an aid had a heart attack and died while caring for my mother. I realized how vulnerable my mother was. She was wheelchair bound and no longer could make a phone call. The decision to move my mother to a nursing home was the hardest decision I ever made. I did extensive research and chose what was supposed to be one of the best nursing homes in New York. Getting a Medicaid bed for my mother was considered a major victory. She moved on June 1, 2013. I was traumatized eight days later when I learned that while being transferred in a Hoyer lift by an inexperienced aid, my mother’s left arm had been broken, and her shoulder dislocated. I turned into a raving lunatic. Having given up my mother’s apartment, I had few choices. Rather than move my mom again, I decided to keep her at the facility. I arranged for her to be transferred to a different pavilion where the supervising nurse was sympathetic to my concerns. I hired private companions to be with my mother ten hours a day. I sued the nursing home and used the money from the settlement to pay for the companions. My mother was content. Her companions took her to concerts, the art studio, bingo and other activities offered at the home. She was at the nursing home for ten months before she died in my arms in April 2014. It has taken all this time to be finally able to put a period on that chapter of my life. The most important lesson I learned from my mother during my years as her caregiver was the power of a positive attitude and an appreciative nature. My mother had an incredibly positive and upbeat attitude. She NEVER complained. This was her mantra: “I consider myself very lucky. At my age, I’m not in pain. I’m lucky because I’m never bored; I read and watch television selectively. I even count the taxis that are going down the street. I’m lucky because I’m VERY well taken care of thanks to my daughter.” Every time I find myself in a negative frame of mind, I give myself an attitude adjustment a la my mother. My mother never asked for anything without saying “please” and she was quick with a “thank you.” She expressed her gratitude to me daily. She was kind to her aids, and they loved her for it. She enjoyed every morsel of every meal. She took pleasure in the smallest things. As I start a whole new chapter of my life, I’ve been working on myself to become more like my mom.